1.Explosion-proof power distribution panel adopts composite type and modular structure. Each circuit can be assembled freely according to requirements. The general switch box adopts explosion-proof structure, and the bus box and outlet box adopt increased safety structure. 4.Exposed fastener of stainless steel. 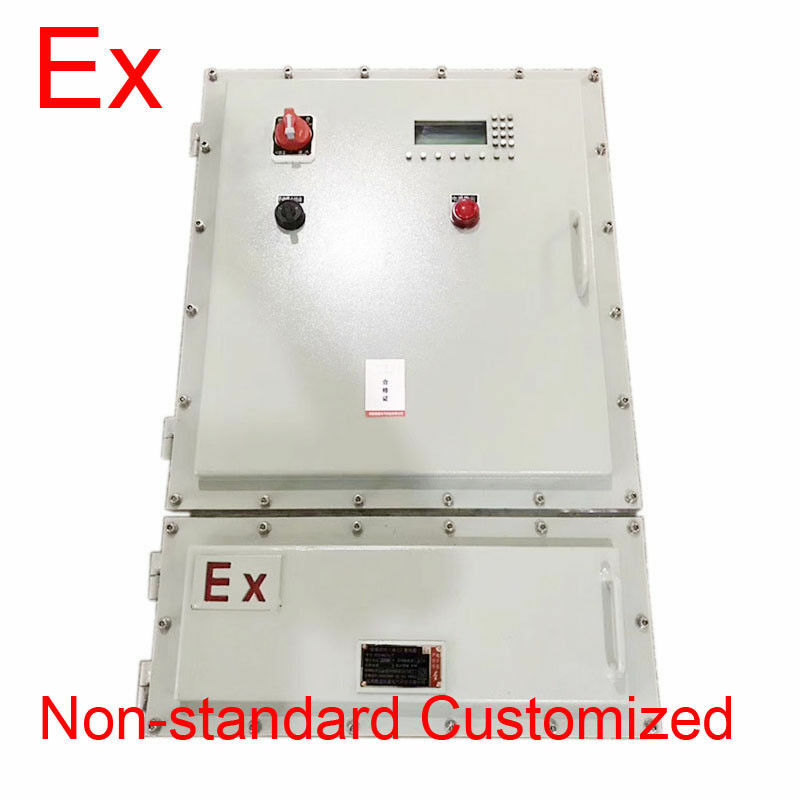 Explosion proof power distribution panel are designed and built to operate in environments where concentrations of flammable gases, vapors, liquids or combustible particles pose risks of ignition and explosion. The explosion proof power distribution panel also prevent interior explosions from spreading outside and posing a threat to life and property. Over the last decades Vican has acquired a great amount of experience assembling explosion-proof panels. Our employees are trained on a regular base in order to stay up-to-date with the latest Atex regulations. Our specialized engineers guarantee reliable and expert advice. If so desired the expertise available at Vican can be consulted for the preliminary study of a project. All explosion-proof products supplied by Vican come with a certificate. Each panel is supplied with a set of certificates of explosion safety for all concerning components.